The Super Bowl – Sporting Event Or Promotional Platform? This year’s Super Bowl was outstanding on so many levels- A remarkable comeback by the New England Patriots, they were down 28-3 at one point. The ‘Catch of the Century’ to force the game into extra time – a Super Bowl first. in this opinion piece, Content Agency Edge’s Group managing director Noel Magnus celebrates the media phenomena that is The Superbowl. And the truly remarkable Tom Brady becoming the only Quarterback in NFL history to win 5 Championship Rings. (Enjoy your immortality and endless millions Tom). All great stuff for the NFL-obsessed, the statisticians at The Guinness Book of Records – and the avid sports fan alike. But the Super Bowl is so much more than a sporting event – confirmed by its astonishing world-wide, one-day appeal. (To hell with the formal stats, let’s just agree that pretty much anyone with a pulse watched it live or recorded it. Or both). Notwithstanding the immense skill and athleticism of the players, for the global masses, the football game itself is not the main event here. (I’m not going to tell the players that by the way). Yes, the game is a blue-chip draw card – of course it is. But in reality, the game is merely the vehicle around which they have built a platform for unbridled commercialism. The Super Bowl is a shameless celebration of commerciality and commercials, and I love it for that. The Super Bowl has the razzle-dazzle that only America can bling. It has the astonishing half time entertainment concert – transformed by the late Michael Jackson in 1993. (I believe major global acts now pay a King’s Ransom to perform at the Super Bowl in order to showcase their work to the world). 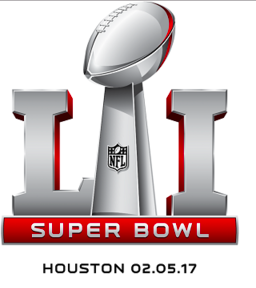 And of course it has the (often purpose made) Super Bowl ads – the Communications Industry’s big day to do its thing, to strut its stuff. Only if you have the money of course. The hype and anticipation around the ads is real. The pressure to perform and wow the global audience on the day is immense. And the spoils of (commercial) victory are career defining. So hat’s off to the brains behind The Super Bowl – you have masterfully created what is quite simply the world’s biggest one-day promotional platform masquerading as a game of football. In this year’s case a very, very good game of football. Yes, America’s Got Talent – and plenty of it.